Our unfaltering obsession with selecting exceptional oak casks and distilling sublime spirit brings an unsurpassed, timeless quality to The Macallan. 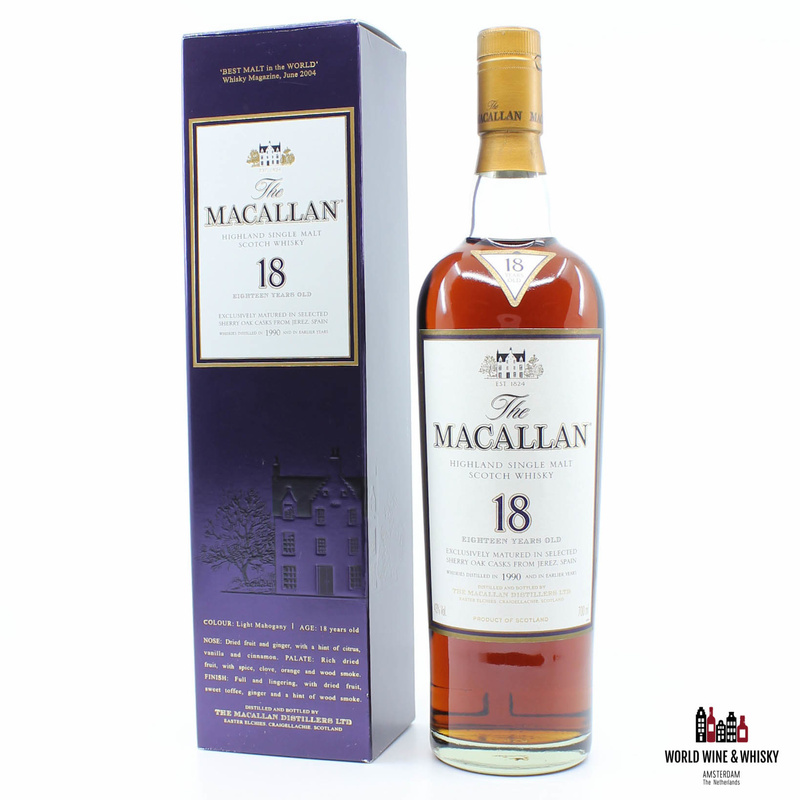 Distilled at The Macallan distillery in Speyside, Scotland, this legendary Single Malt is exclusively matured in selected sherry oak casks from Jerez, Spain for a minimum of eighteen years. This results in a satisfyingly rich and complex Single Malt. Awarded with ‘Best Malt in the world’ in June 2004 by the Whisky Magazine.